This creamy chicken and rice casserole satisfies the need for comfort food. Basically, it’s warm, tasty, and tamps down the hunger without making you feel stuffed. And if you use chicken thighs, you have a family dinner under $10, even with a vegetable on the side. Anyone who lives in the South has probably had this delicious southern food. To my surprise, I’ve learned that my non-southern friends want to claim it as theirs. And that’s okay. It doesn’t matter where this dish comes from since it is so good. It has found its way on our dinner rotation because it is quick, easy, and delicious. If you’re in a hurry to get the printable recipe, please feel free to scroll down to the bottom of the page. One of the things I love about this dish is that it can be assembled ahead of time. You can either put everything in the casserole dish the night before or the next morning. I’ve even cooked it in the slow cooker. But I have to admit that it comes out a little mushy when it’s cooked all day. Sometimes I enjoy taking the weekend off from cooking. However I don’t always want to go out because I don’t feel like getting dressed up. After all, when I’ve been lounging around in yoga pants and a sweatshirt all day (don’t judge), the thought of having to deal with a button and zipper is unappealing. This is a dinner I can put together whenever I feel like it without feeling pressure. In spite of how quick and easy it is to assemble, it always comes out great. It is unquestionably a meal anyone can make. The first thing to consider when you’re putting together the ingredients is to get enough for leftovers. Otherwise, you’ll be left drooling and dreaming of this delicious creamy casserole that you can’t get enough of. 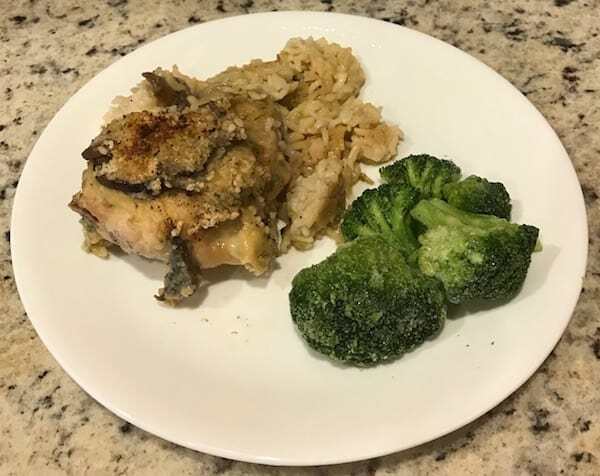 I love having some leftover chicken and rice casserole the next day for lunch. Coupled with a side salad, you have a nutritious meal without much effort. You’ll need a casserole dish to put everything into as well as some cooking spray to make cleanup easy. If you don’t have a casserole dish, you may also use a deep metal pan. Pour the rice into the bottom of the sprayed pan. Next, pour the chicken broth into it. Place the chicken on top of the rice. Pepper the chicken. Since the chicken broth and soup have sodium, I don’t add salt. 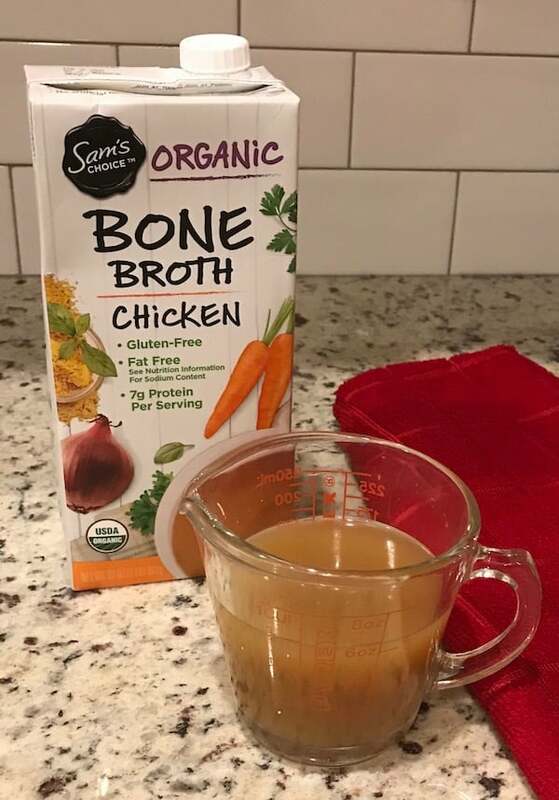 Mix the soup with the water and pour over the chicken. Then you add the mushrooms. I generally use canned mushrooms, but you can use fresh ones that you’ve sliced. 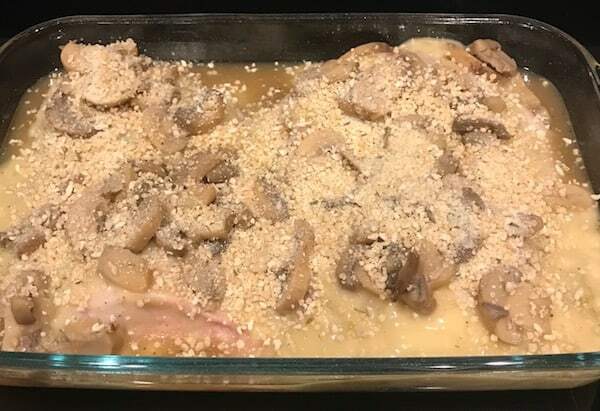 Sprinkle the breadcrumbs over the chicken, soup, and mushrooms. I use a gluten-free variety. Cover the pan with foil and bake. Finally, remove the foil and put it back in the oven to brown the breadcrumbs. You can serve any vegetable or salad with this casserole. One of my favorites is steamed broccoli. Not only is broccoli packed with nutrients but also provides color to create an appetizing looking plate. You can also add bread or rolls. Most regular cream soups have traces of wheat. However, you can find wheat-free soups in many grocery stores. Walmart’s Great Value brand of gluten-free cream of mushroom soup is very good. 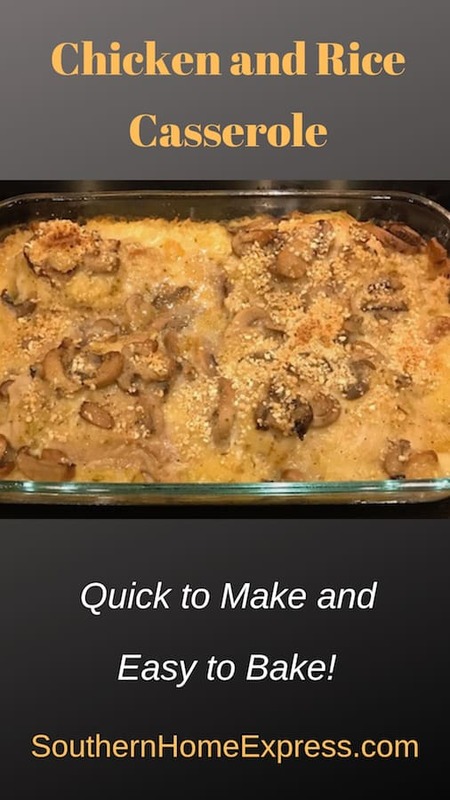 This creamy and delicious chicken and rice casserole is one of the most comforting foods you can eat. Spray a medium size casserole dish with nonstick cooking spray. 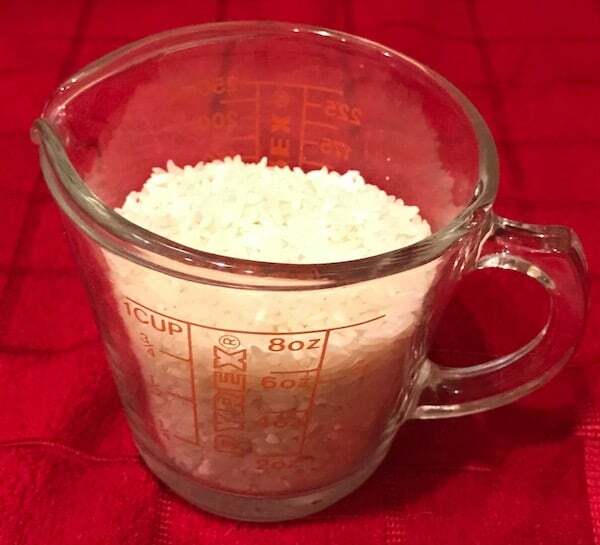 Pour rice into the casserole dish and spread evenly over the bottom. 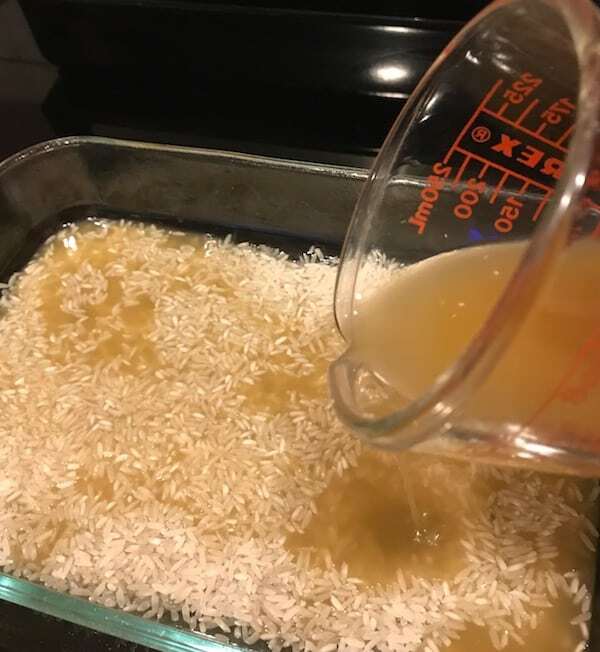 Pour the chicken broth over the rice. 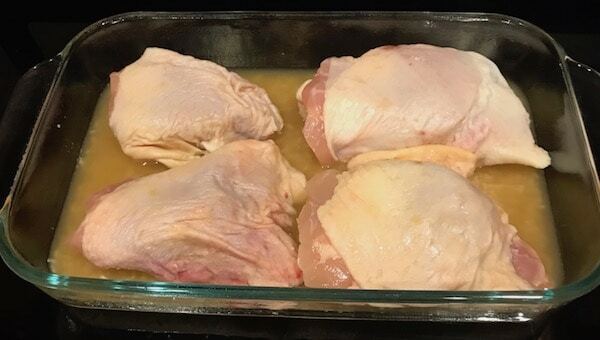 Place the chicken thighs on the rice. Sprinkle as much pepper as you like over the chicken. 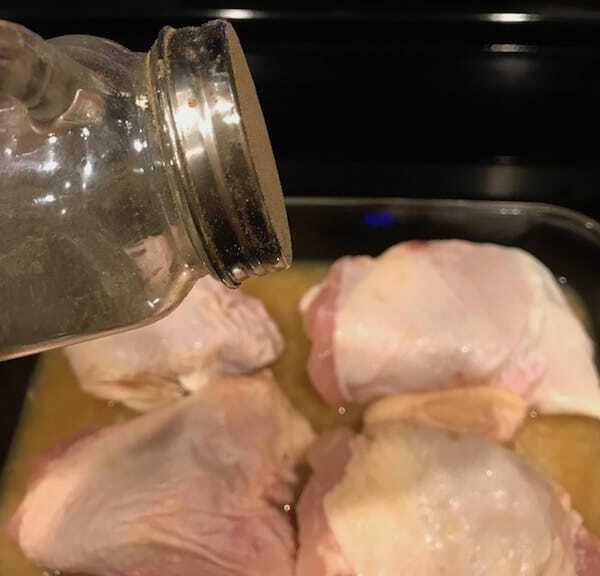 Mix the water with the soup and pour over the chicken. 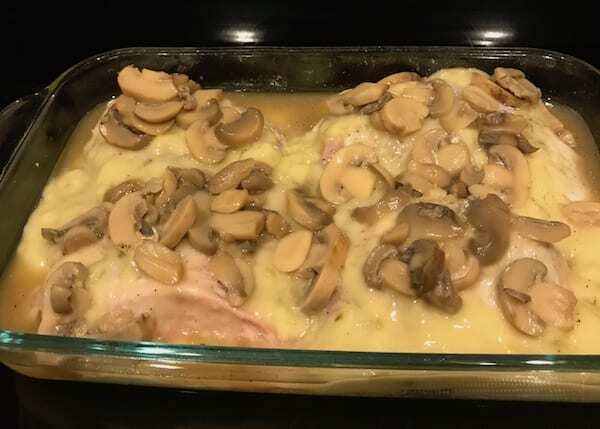 Add the mushrooms evenly over the chicken. Sprinkle the breadcrumbs over the top. 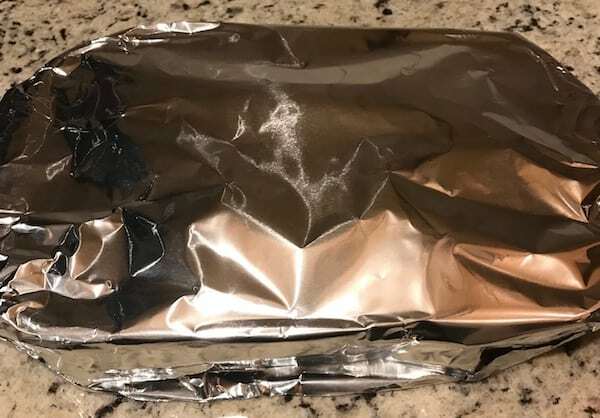 Cover with foil and bake for approximately 30 minutes. 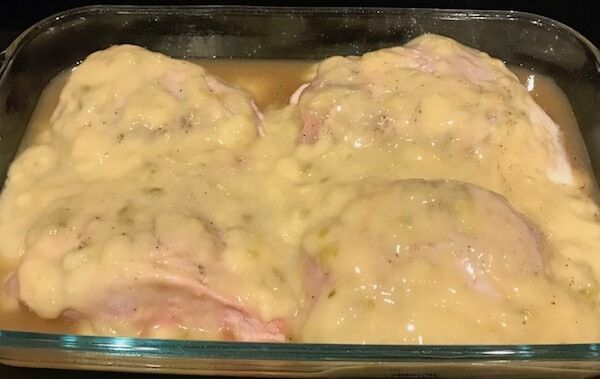 Uncover and place the casserole back in the oven and bake for another 10 minutes, or until the breadcrumbs turn golden brown. Remove from the oven and serve with your favorite side. My oven cooks hot. 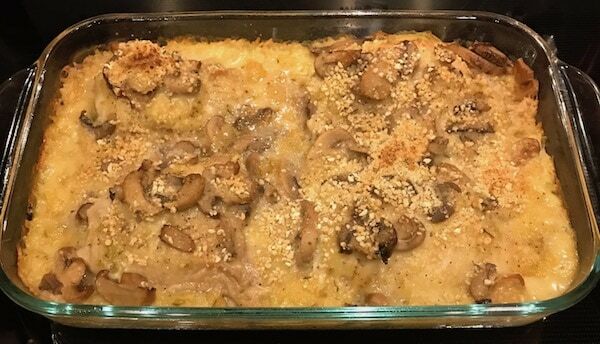 If your breadcrumbs aren't golden brown, you may use your broiler for a couple of minutes. Make sure you keep a close eye on it so the top of your casserole doesn't burn.